From Geoffrey Chaucer’s Canterbury Tales, Chanticleer is a proud and magnificent rooster who is the king of the barnyard. He announces the beginning of each day with pride and artistry. 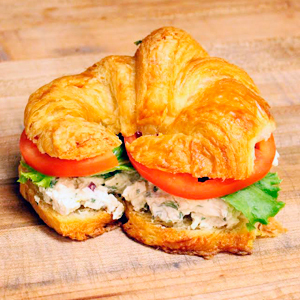 At Chanticleer Café & Bakery, we intend to bring that same pride and craftsmanship to part of your day. We use only the freshest ingredients and strive to prepare homemade food with distinctive style and refreshing taste. 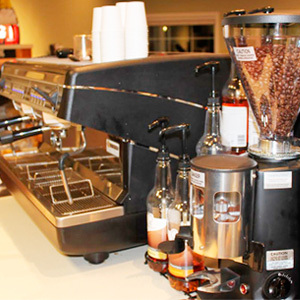 We use coffee products from local coffee roaster Joe Van Gogh. 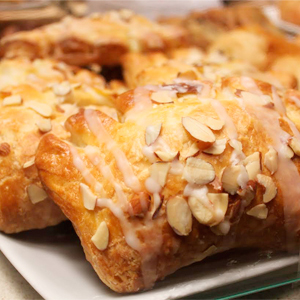 All of our desserts and pastries are baked fresh in house by our talented bakers.